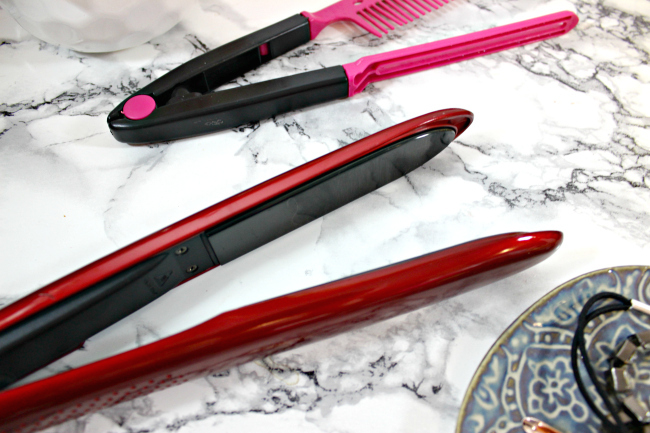 When it comes to flat irons I kind of have always thought there wasn't too much difference between brands, and that you should go high end or not bother at all. I got myself a GHD a few years back an just relied on the feeling that I got the best out there and that was that. 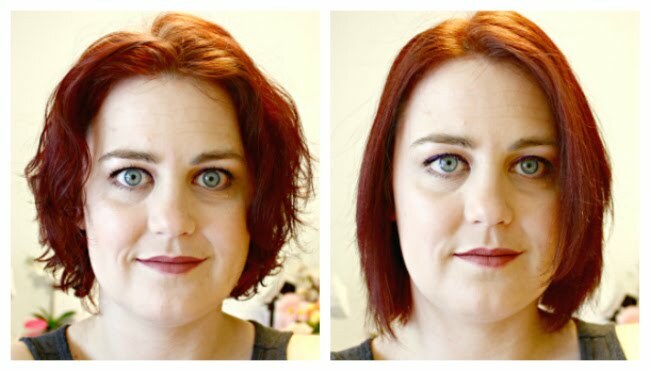 So when ISA offered to send me their Titanium Flat Iron Hair Straightener, I said yes, but was skeptical that it wasn't going to be that great. Boy was I wrong. Let me start by saying I adore this iron, it is everything I ever needed in an iron, I just had no clue that I wanted those things before using this iron. Having a GHD means I had no control over the temperature of the iron, with the ISA I have complete control from 265°F up to 450°F it is a pretty big range. I usually keep mine around 350 (I feel like I could bake muffins at that temp though). 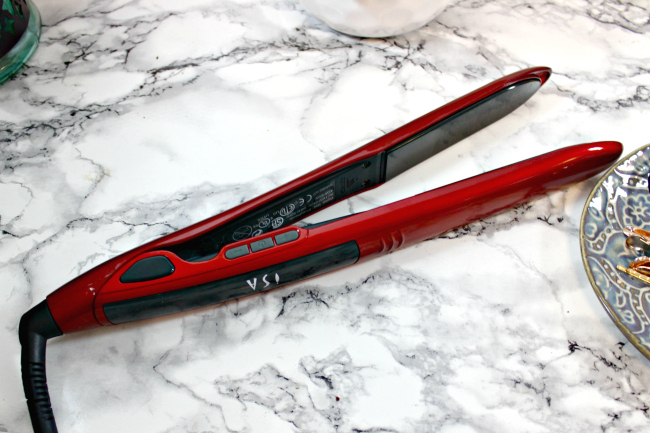 The ISA Titanium Flat Iron Hair Straighter also is a great slim design to the iron, which make holding it way more comfortable and makes pulling it through my wavy hair simpler and less daunting. There is a curve on the handle that makes curving the tool while you are curving your hair in at the bottom far more comfortable too, really a feature I adore, but never knew existed before or that I needed it so darn much. The plates are mirror titanium so they do a great job of smoothly working their way through the hair without tugging or snagging. The 360 degrees tangle free cord is a nice addition that some of my hot tools seem to lack, it really does help prevent the cord from tangling up and eventually getting damaged from it. Overall I am in love with this straightening iron, I plan on taking it with me next week on vacation, it will be the second time I've traveled with it, I doubt I will be leaving it behind anytime in the near future. 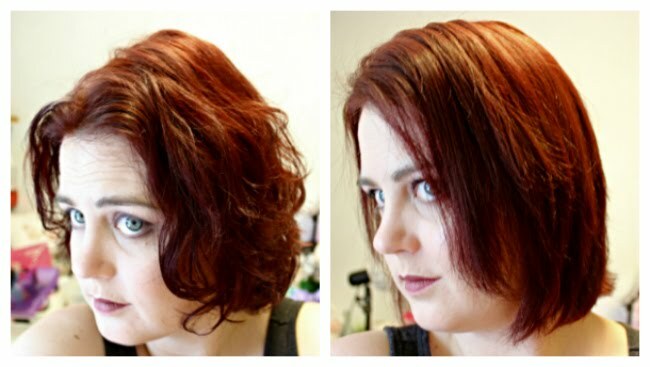 The sleek design is great for my small hands, the digital temp control helps me not scorch my hair, the curve to the design is absolutely amazing for letting me style my hair exactly how I want it (it truly is a break through feature to me). This baby has become my new go to iron, which is a pretty amazing feat. 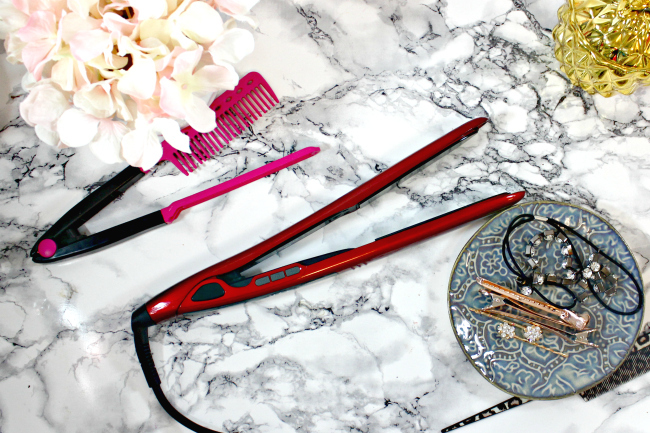 What features do you look for in a flat Iron? Are there any must have features that you can't live without? *Product was sent for review, all views and opinions are my own.